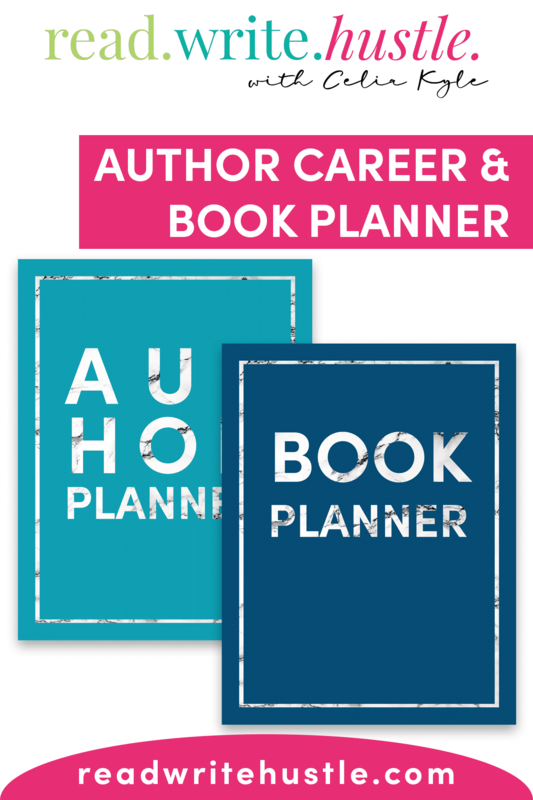 Author Career & Book Planner » Read. Write. Hustle. Make this year epic! Click to get your free epic author biz roadmap! 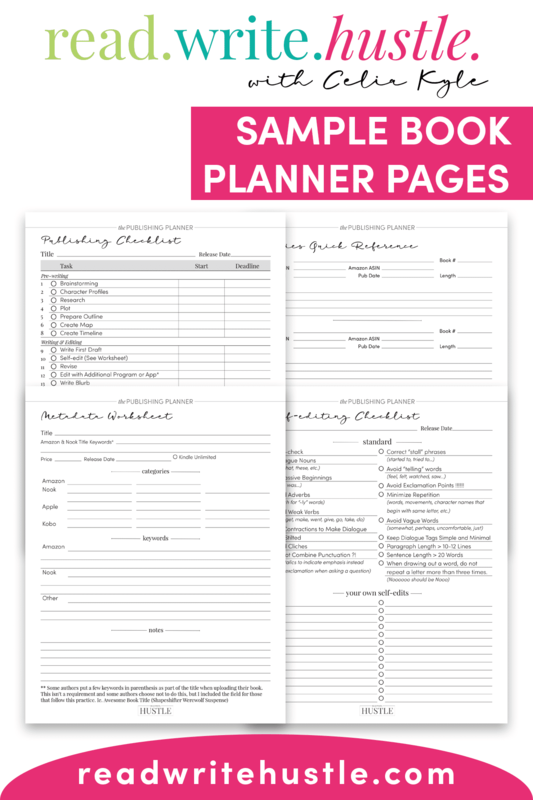 Grab the planner that will help you get from “word one” to “done” in your publishing journey. Each checklist and worksheet is specifically designed to assist writers throughout their process and ensure they successfully publish their next work. Take advantage of the pages I personally use in my publishing business. 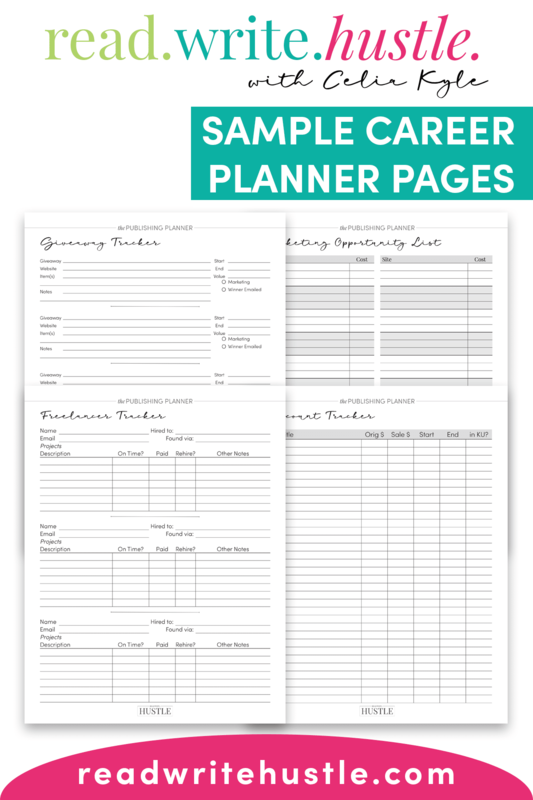 Designed for 8.5×11″ printing, these pages are easy to downsize or leave them at their original size for quick printing on your home computer. Marketing Opportunity List – One marketing list to rule them all. Kindle Unlimited Tracker – Need to know when your Kindle Unlimited term expires? This is the perfect spot. Giveaway Tracker – Running a giveaway? Keep track of the details! Discount Tracker – Need to know when book 1 in a series was last promoted? Make a note! Catalog Quick Reference – Have all of the details about your catalog at your fingertips. Expense Tracker – Manage all of your business expenses. Freelancer Tracker – Can’t recall who edited your last book? Did they do a great job? Jot down that info! Income Tracker – Keep track of your daily income by retailer. 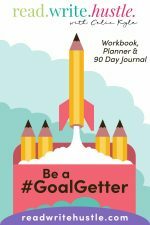 Monthly Goals – If you write it down, you’re more likely to get it done. Publishing Checklist . : Completed & Blank – Taking you from step one to step DONE! 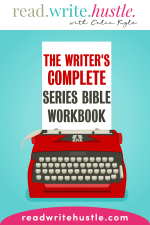 Series Quick Reference – Keep notes about the other books in your series. Self-editing Checklist – Includes my own self-editing gotcha’s! Metadata Worksheet – Handy to have when uploading your books at retailer sites. Marketing Plan – With my “have to’s” plus plenty of space for your own. Publishing Visual Timeline – All your due dates in timeline form. Quarterly Word Count Tracker – How did you do with your word count this quarter? Don’t know? Keep track and celebrate your success! Book Outline Worksheet – A quick, 45 chapter worksheet for our outline. Promo Results Tracker – Did you earn more than you spent? Figure it out here. 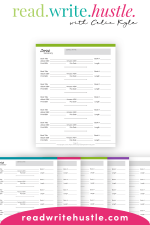 That’s FORTY-THREE different worksheets that will support you every step of the way! WANNA BE A WRITERLY ROCKSTAR? Become an official #hustler in our free community. Be ready for live chats, support, feedback, tips and growth! Join to #hustle with me!